Twilight Beach in Esperance, Western Australia, is the planned venue for the ‘new’ Stonehenge. The controversial plan aims to recreate the ancient Wiltshire monument on a hillside overlooking the beach, 740km southeast of Perth. More than 100 stones are to be erected, with the largest stone standing more than seven metres high and weighing in at more than 50 tonnes. The plan was originally announced back in 2008, when local businessman Ross Smith ordered the granite blocks. But, his £850,000 project collapsed after the proposed development went into the hands of liquidators. Now, the plan has been raised from the dead and the quarry has offered the stone blocks to the town of Esperance for £180,000. A further £545,000 is needed for site works, a car park and tourism facilities. The project, to be called The Henge, will include 101 granite stones arranged in an inner and outer circle and a central altar. Unlike the original Stonehenge, guests will be encouraged to play around the new monument, which will also have an interpretive centre and a children’s playground. 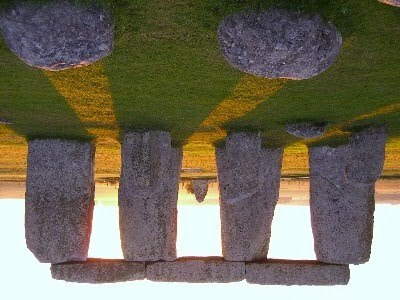 Mr Smith said The Henge would be a business venture, to be hired out for weddings and other events. A small team of quarry workers has spent the past five months drilling and blasting the stones into shape. 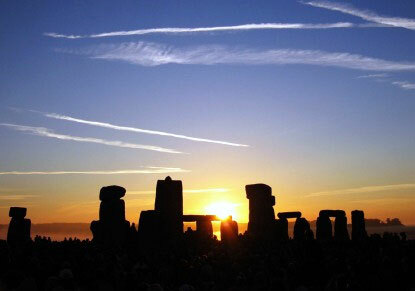 >The word ‘HENGE’ – What does it mean ?